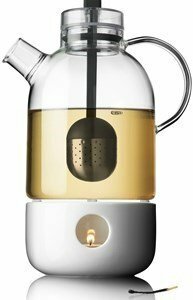 This simple and practical rechaud is perfect for the New Norm kettle. Tea became a natural part of a healthy lifestyle, and each tea has its own benefits: green tea has antioxidants, herbal tea with many spices and flavour explosions, white or african red tea.. Your tea always hot with an exclusive aesthetic look! 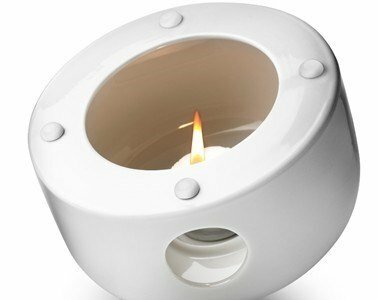 The lateral holes supply the needed oxygen for the tealight. Four silicone holders assure that the kettke satys in its place. Annoyingly simple. I'm fascinated by everyday simple objects that are annoyingly simple.